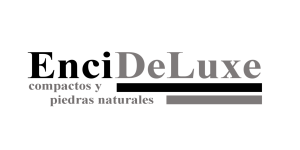 EnciDeLuxe is a company situated in Almeria. We are specialist at manufacturing Kitchen Worktops and vanity top with more than 15 years of experience. We work with the best brand names on the market such as Silestone, Compac, Neolith or Dekton, and with the most beautiful natural stones as Granite and Marble from around the world. Our projects make us stand out because of the quality of the stone and installation. At our factory in heart of Marble country - Macael we design and manufacture the kitchen Worktops – Splashbacks and Bathroom Vanity unit tops and sinks ready for installation in your home. We can provide our clients with the most competitive prices in the market by shopping direct. From start to finish we will assist you on all aspects of which materials will best suit your needs from the ranges available and because we speak English it makes it easier for the client to explain to us what they would like to have as their final design dream. In order for us to achieve this, we use our extensive knowledge of the granite and marble industry and have a dedicated team, of interior designers, architects and craftsmen who are committed to delivering high quality products and services to meet your requirements. Please visit our Gallery of finished work. EnciDeLuxe is a company with many years of experience of cutting and polishing in the marble field which we apply to our huge list of marble products such as flooring, wall tiles, washbasins, sinks, shower trays, balustrades, tables, fireplaces, fountains and so on. Tell us your ideas and we will bring them to reality. We will manage the whole process, measurement, design, manufacturing and installations of your worktop or vanity top. By working carefully, we can minimise waiting time before you can enjoy you new Kitchen or Bathroom. Because we have extensive experience, having fitted thousands of worktops. You will have your worktops or vanitytop in a short period of time, at the best price. Please request a no-obligation request for quote. 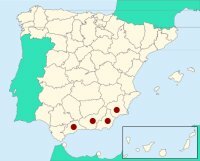 Areas of distribution: Almeria, Granada, Malaga and Murcia. For other areas, let us know your location.